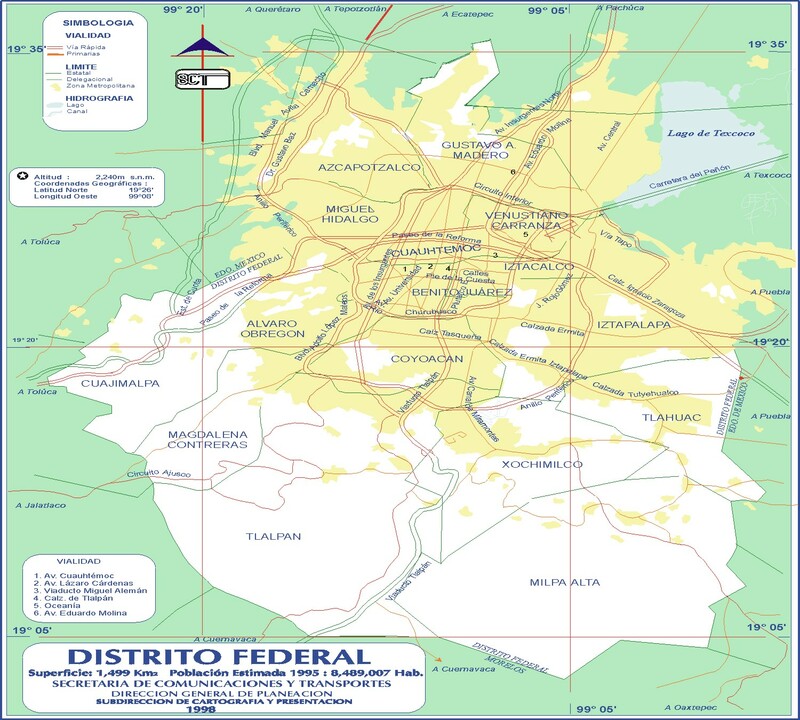 Map of neighborhoods of Mexico City. 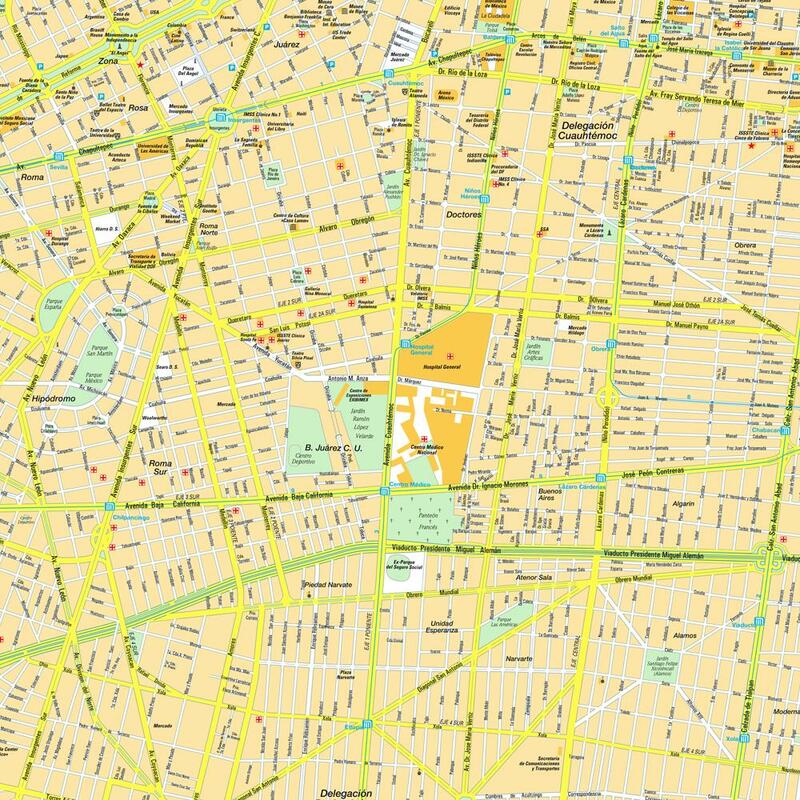 Detailed streets map of city of Mexico. 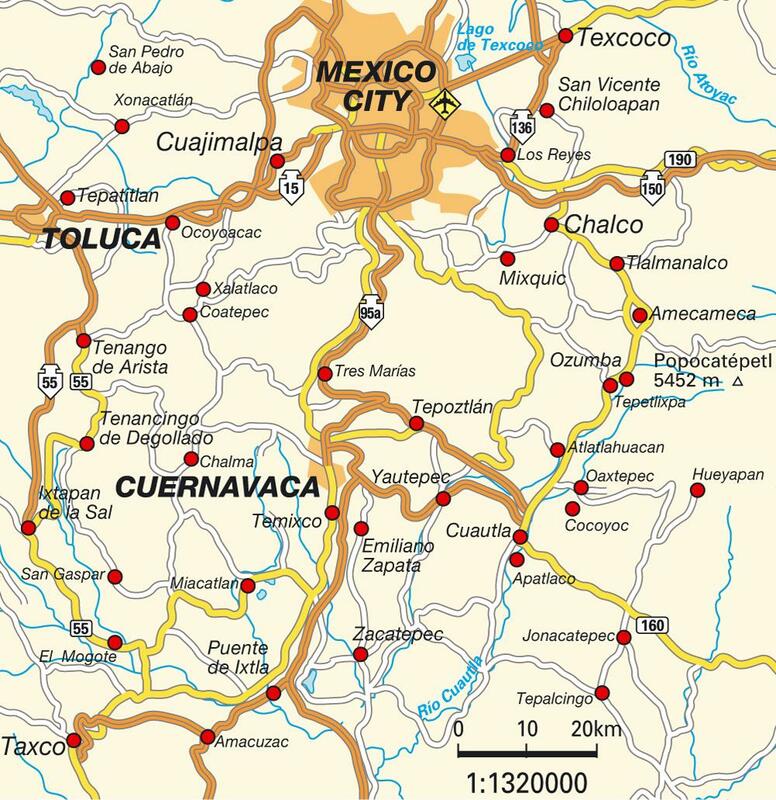 Map of roads around Mexico. 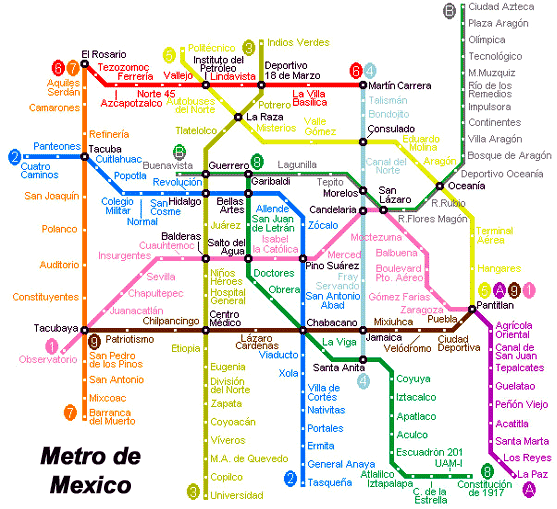 Map of Mexico City metro. 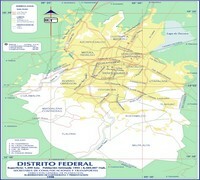 Map of Mexico and surrounding areas.